Laouta | 100% natural handmade Hydrating Glowing Body Oil. 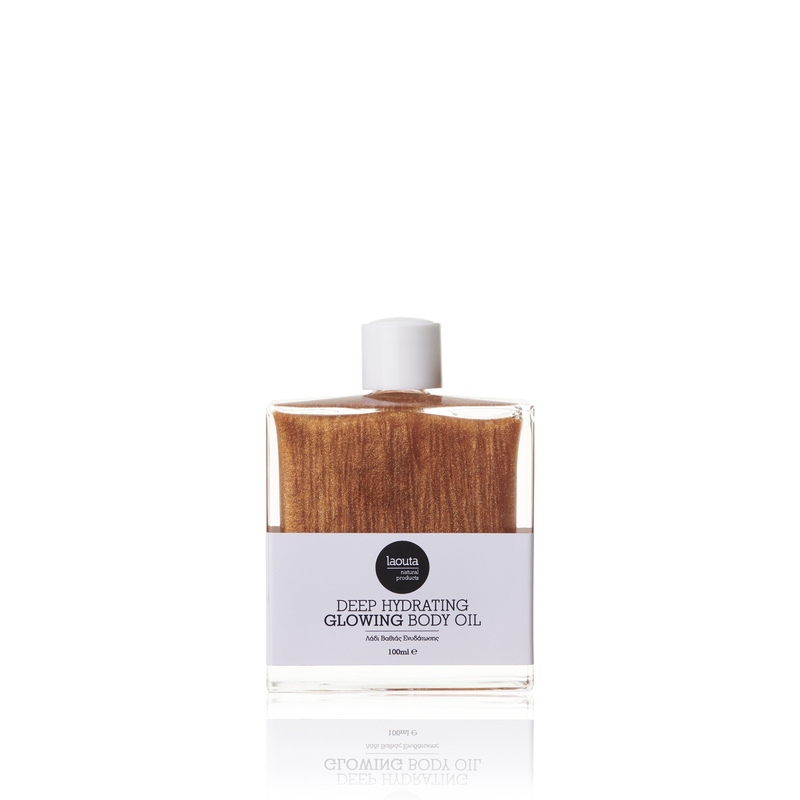 This handmade body oil contains a rich blend of nourishing oils that effectively hydrates and softens the skin. It includes active ingredients such as sage, helichrysum, olive oil, and almond oil. The body oil is infused with mica, a natural shimmer ingredient, that leaves the skin with a radiant sun kissed glow. The 100% natural oil blend is slightly scented with geranium and grapefruit essential oils that brings a brightening and uplifting effect. Apply to wet or dry skin for a luminous glow. All skin types, ideal for dry skin. PRUNUS AMYGDALUS DULCIS (SWEET ALMOND) OIL, CAPRYLIC/CAPRIC TRIGLYCERIDE (COCONUT FRACTIONATED), PRUNUS ARMENIACA (APRICOT KERNEL) OIL, OLEA EUROPEA (OLIVE) FRUIT OIL, PERSEA GRATISSIVA (AVOCANDO)OIL, SALVIA OFFICINALIS (SAGE) LEAF EXTRACT, HELICHRYSUM ARENARIUM FLOER EXTRACT, MICA, CITRUS GRANDIS (GRAPEFRUIT) PEEL OIL, LIMONENE, TOCOPHEROL (VITAMIN E), PELARGONIUM GRAVEDENS (GERANIUM) OIL, cl77891(titanium dioxide), cl77491 (iron oxide), CITRONELLOL, GERANIOL, LINALOOL.